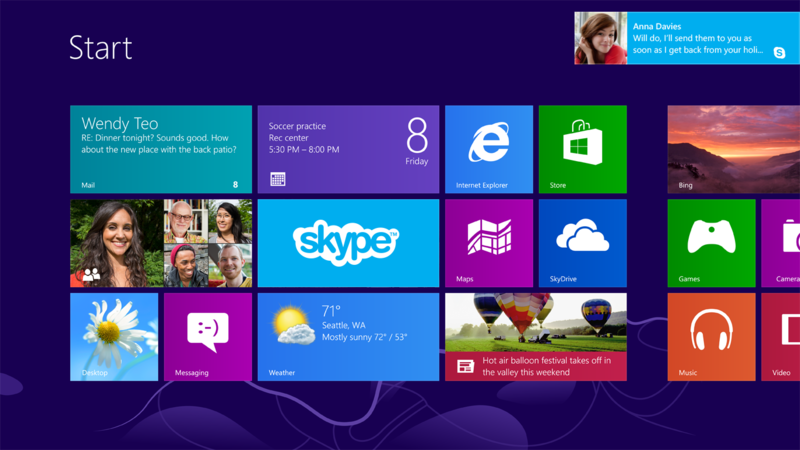 By Nathan Edwards on Dec. 11, 2012 at 10:30 a.m.
Our PC expert Nathan Edwards offers some sage advice about how to allocate your money for a new PC build. Record players didn’t go away when the iPod hit. Hardcover books coexist with ebooks. The internet didn’t completely wipe out print journalism. And the desktop PC is still the best gaming and productivity machine on the planet, even if people have moved much of their computer use to smartphones, tablets, and laptops. By building a desktop, you can choose the computer that’s exactly right for what you need to do, and get the best bang for your buck while doing so. First Off, What’s it For? The first step is figuring out what you’ll actually use your computer for. There’s no upper limit to the amount of money you can spend, and (up to a point) the more money you spend the more performance you’ll get. A $4000 rig is going to be overkill for everything unless you’re a professional video editor or 3D animator, and a $2000 rig is still going to be more PC than you need most of the time. You can build a great gaming and media PC for under $1400. At that price range you’re not cutting a lot of corners and you’re getting a machine that’s easily upgradeable later. If you cheap out too much, you’ll wind up with a PC that frustrates you every time you use it, and if that’s what you want, there are cheaper ways to get it. Side note: If you just want a media streaming box to plug into your TV, buy a Roku 2. It’ll stream 1080p video from Amazon, Netflix, Hulu, Vudu, and HBO Go. With Plex, you can stream your local content from Windows, OS X, Linux, or your NAS. 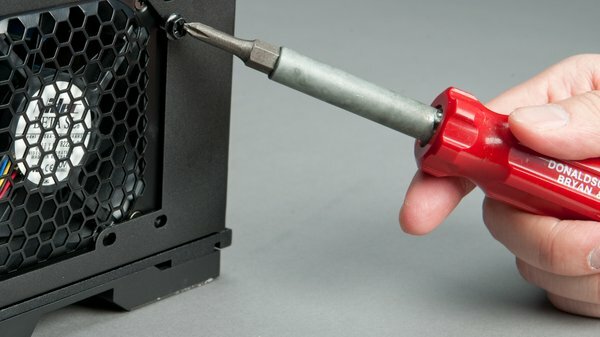 No need to spring for a whole HTPC when you can get the parts you need for a Benjamin. That is, unless you’ll be gaming on that thing, too. The two things that most impact a computer’s performance are the CPU and graphics card (GPU). In a build, you’re looking for the most performance for the least amount of money. Right now, I’d get an Intel Core i5-3570K. It’s an overclockable 3.4GHz quad-core CPU, and right now it costs $215. You can get an eight-core AMD chip for the same price, but AMD’s top-end FX-3850 barely keeps up with the 3570K, except in encoding, while using a lot more power than the Ivy Bridge chip. The i5-3570K is everything you need for gaming and general computing, and you can overclock or upgrade to an i7-3770K later if you need more power. 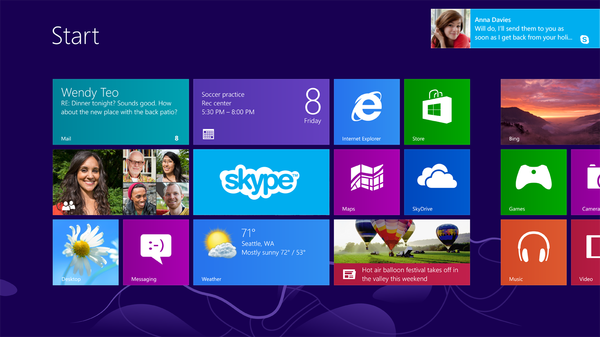 The i5-3570K is an Ivy Bridge chip, so it supports USB 3.0, PCIe 3.0, 6Gb/s SATA, and (on some motherboards) Thunderbolt. If you are on a leaner budget, drop down to an i5-3470. You’ll lose the unlocked multiplier and some clock speed, but you’ll keep the four cores. 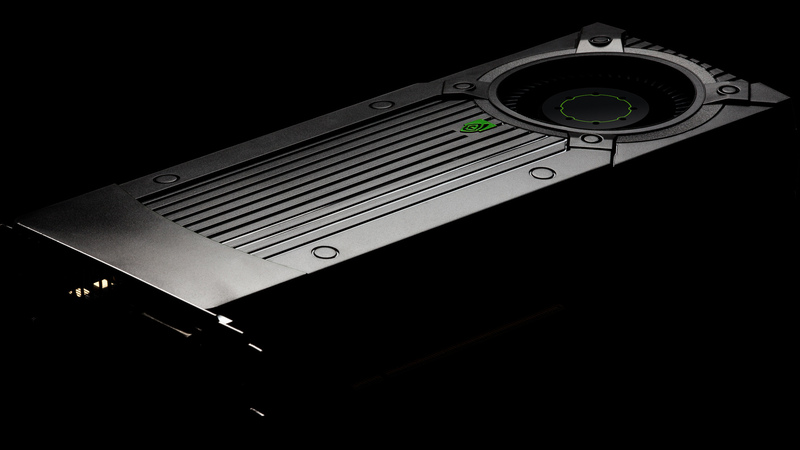 A video card that will give you decent frame rates on a 1080p panel or HDTV costs just $200 these days. I’d start at an Nvidia GeForce GTX 660 or an AMD Radeon HD 7850 and move up from there if my budget allows. Both of these cards offer great price/performance ratios. Any lower, and your GPU will struggle to put out decent frame rates at 1920x1080. A more powerful GPU will let you turn up the eye candy and give smoother performance, or add more monitors, higher resolution, or 3D (remember when that was a thing?). You can upgrade later by adding a second videocard, as long as it’s the same as the first one--in this case, that’s another GTX 660 or Radeon HD 7850. RAM is cheap these days. 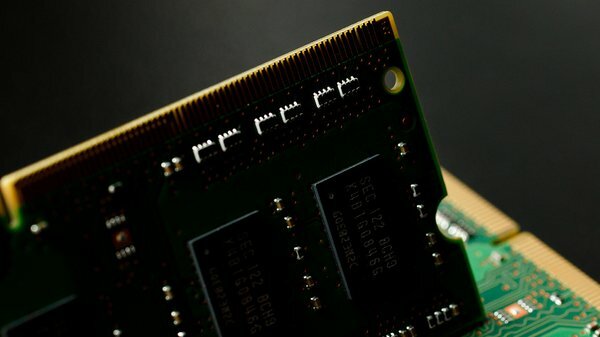 8GB is plenty for gaming, and an 8GB kit of DDR3/1600 costs around $40. There’s no need to cut corners farther than that. Get a kit with two 4GB sticks, so you can utilize dual-channel mode on your motherboard. You’ll be able to add another 2 x 4GB kit later, or even a 2 x 8GB kit, as you’ll be getting a motherboard with four RAM slots. That’ll let you upgrade to 24GB of RAM before you even consider tossing the RAM you have. There’s a dizzying selection of motherboards out there, from sub-$100 budget boards to $450 “Premium” models. Asus has eighteen different motherboards for the Z77 chipset alone. Basic motherboards include several PCIe x16 slots, USB 3.0, 6Gb/s SATA ports and support for CrossFireX and SLI (AMD and Nvidia’s respective GPU-pairing technologies). Premium boards add Thunderbolt ports, onboard caching SSDs, RAID, WiFi and Bluetooth modules, finer overclocking controls, Quad-SLI and Quad-CrossFireX, external sound controls (either through a bay device or a PCIe daughterboard), front-panel USB 3.0 bay devices, multiple Ethernet ports, and more. Most people don’t need all the bells and whistles of an expensive motherboard. If you’re planning on adding another GPU later, make sure your motherboard has two PCIe x16 slots and SLI/CrossFireX support. You can get a good Ivy Bridge motherboard with SLI or CrossFireX for under $150. 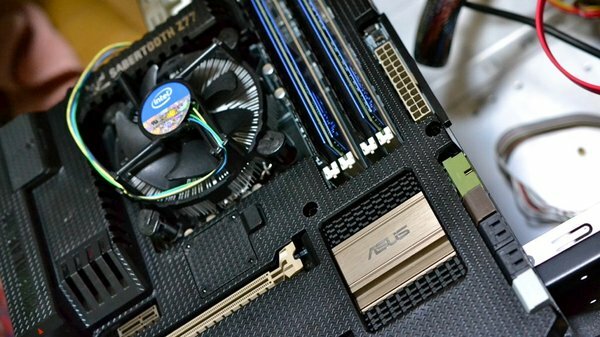 If you want to save some space under your desk, look into getting a micro-ATX motherboard. These are smaller than full-sized ATX motherboards while offering most of the same features. If you get a mATX motherboard, be sure to get one with four RAM slots and at least two PCIe x16 slots. Storage: SSD or Hard Disk? SSDs are finally cheap enough that the average gamer can afford them, and they make a big enough difference in a machine that I think you shouldn’t buy a gaming PC without one. A 256GB SSD is enough for your OS and a dozen or so games and you can get one for less than $200. You can use an app like Steam Mover to keep games you don’t play regularly on your backup drive. You should have a mechanical drive for documents and backup. A 3TB drive is a good choice these days. 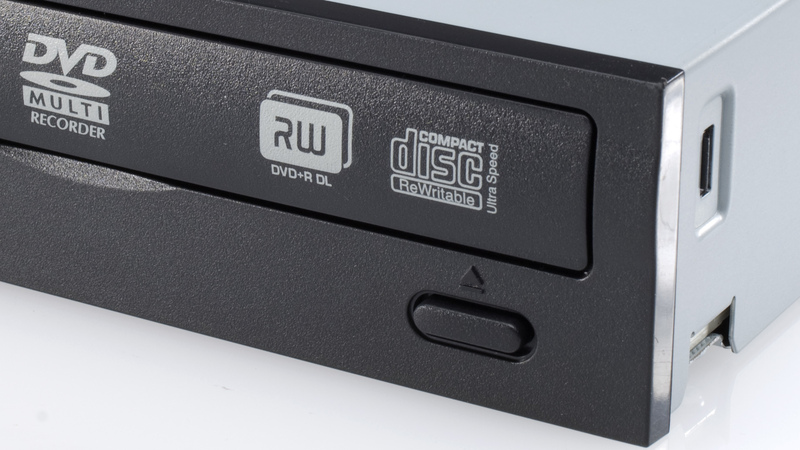 When Did You Last Use an Optical Drive? You only need a Blu-ray drive if you’ll be watching Blu-Rays. Obviously. Unless you frequently burn data to BD-R discs, skip the burner. Flash storage is cheap. A non-burning Blu-ray drive is around $50; you can get a DVD burner for just $20. Unless noise is really a factor, you should get an air CPU cooler, not a liquid-cooling loop. You can get a really great air cooler , like Cooler Master’s Hyper 212 Evo, for around $35. 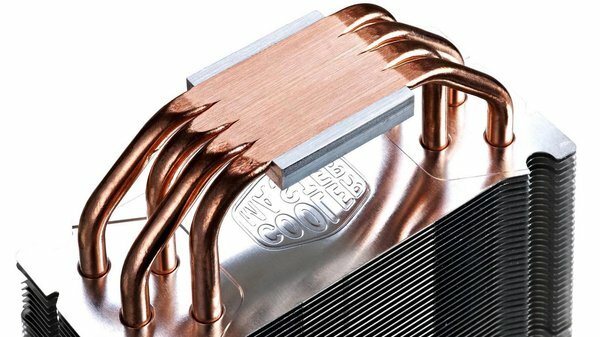 A good self-contained liquid loop will be around $90, as will a top-of-the-line air cooler. That’s the most you should spend, though; a custom water-cooling loop can be hundreds of dollars and is overkill for almost everyone. They’re mostly good for bragging rights. You can get a great case for $100. Your case should be easy to build in and have good cooling, and be something you don’t mind looking at. $110 buys you an NZXT Phantom 410 or a Fractal Design Define R4, both with front-panel USB port, plenty of fan mounts, and sleek good looks. I love both of these cases. 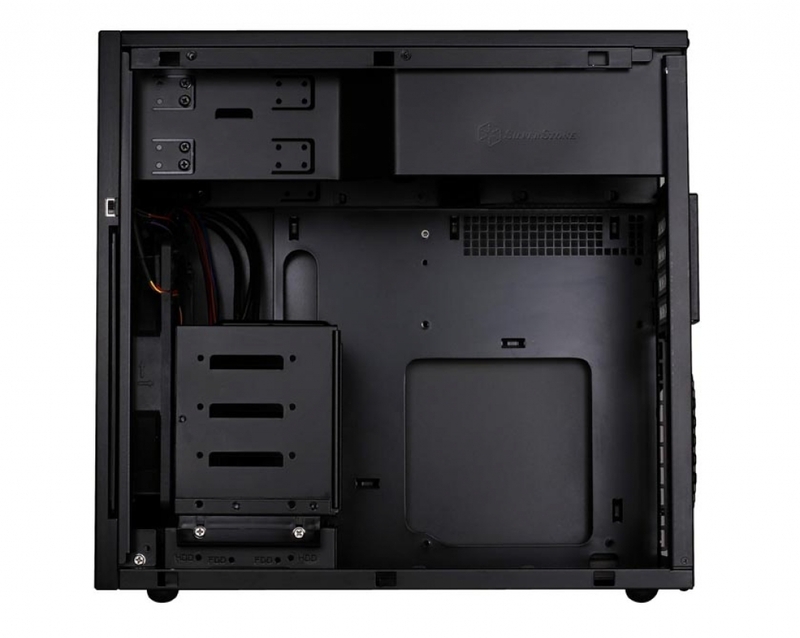 If you go for a micro-ATX motherboard you can get a smaller case. 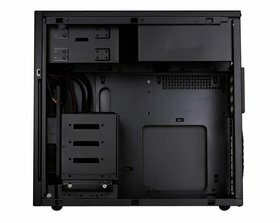 I use the Silverstone TJ08-E micro-ATX case. It’s $105 on NewEgg and it has room for three hard drives, two SSDs, and two optical drives. It only has four expansion slots, so all I can run is a dual-slot video card and a soundcard, but that’s plenty for me. The TJ08-E is not an easy case to build into, and requires a little bit of planning, but in my experience it’s worth it. A 750W power supply will be more than enough for a system with a single mid-range video card, and you can even add another one without exceeding your wattage limit. Get one from a reliable brand like Corsair, Seasonic, NZXT, or Antec. Don’t cheap out, but don’t overpay: A good 750W semi-modular PSU is around $115. Gaming on Linux has made strides, but a gaming PC for now still needs Windows. Right now Win 7 and 8 are essentially the same price when you’re building a new machine, so just pick whichever you prefer. I’ve mostly avoided specific part recommendations in favor of general advice. If you’re curious, I’ve specced out a rig at PC Part Picker that incorporates what I’ve talked about here. 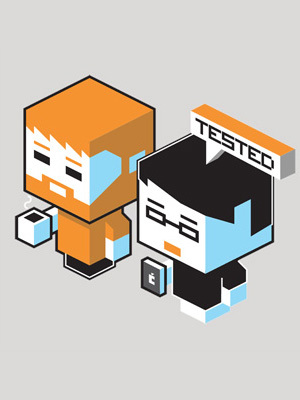 We’ll go more into detail on specific parts in the coming months. Nathan Edwards was formerly the Senior Editor at Maximum PC and is currently our PC expert, writing a monthly column about PC components and builds. You can find him on Twitter @nedwards.